Abilio James Acosta or better known as Jim Acosta is American well-known media personality. He is currently working as the senior White House Correspondent for CNN. Jim has covered several historical events since he joined the network. Jim Acosta met his wife Sharon Mobley Show at the James Madison University, Virginia as they both attended the same college. The couple dated for a couple of years before graduating in 1993. After a year of graduation, Jim and Sharon, the registered nurse, tied the knot in 1994 in a private wedding ceremony. Only close friends and family got a chance to attend their wedding ceremony. The couple was living a happy married life and live together in Washington D.C. as Jim works there. Must Read: CNN White House correspondent Jim Acosta has had a fascinating career. Find out his net worth! Jim Acosta knows how to handle the media. A media personality himself, Jim, has mastered the techniques of avoiding paparazzi as he always succeeds to stay away from the media. He loves to maintain his personal life a secret, and in doing so, he is rarely seen with his wife in public, so we don't have the picture of the couple together. The couple looked happy together, but their happiness didn't stay with them till the end as they decided to get separated in 2017 after a long 24 years of marriage. According to sources, the couple got divorced in a quiet proceeding during early 2017. It was reported that they filed for divorce in Charles County District Court on July 6, 2017. The couple had three children together; two daughters and a son. We all know Jim Acosta is a senior correspondent for CNN based in Washington D.C., but most of us might not know where he was working before he joined CNN. Before Jim Acosta began his career in TV reporting, he worked in radio and also worked with WMAL in Washington D.C. He left that job in 1995 and entered TV as a desk assistant for WTTG-TV. He worked as a reporter for KTVT-TV in Dallas until 2000 from 1998. During the time from 2001 to 2003, Jim worked as a correspondent for CBS News' Newspath service in Dallas and Chicago while the CBS News gave him the job of Correspondent until 2007 from 2003. He worked first in New York and then in Atlanta while he was associated with CBS News. 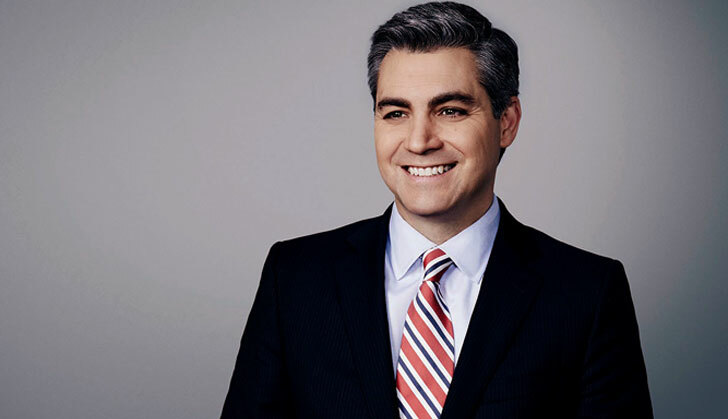 Jim Acosta joined CNN in March 2007 leaving the job of correspondent in CBS News. Jim covered the Obama administration from the White House and around the world. As he is the correspondent of White House, he regularly covered the presidential press conferences. He also covered the presidential campaign of the Republican candidate Donald Trump in 2016. On January 11, 2017, at the first press conference as president-election, Donald Trump involved himself in an argument with Jim Acosta by refusing to answer his question. To get in touch with his daily activities, you can follow him on Twitter @Acosta. For more updates, be in touch with Frostsnow.com.